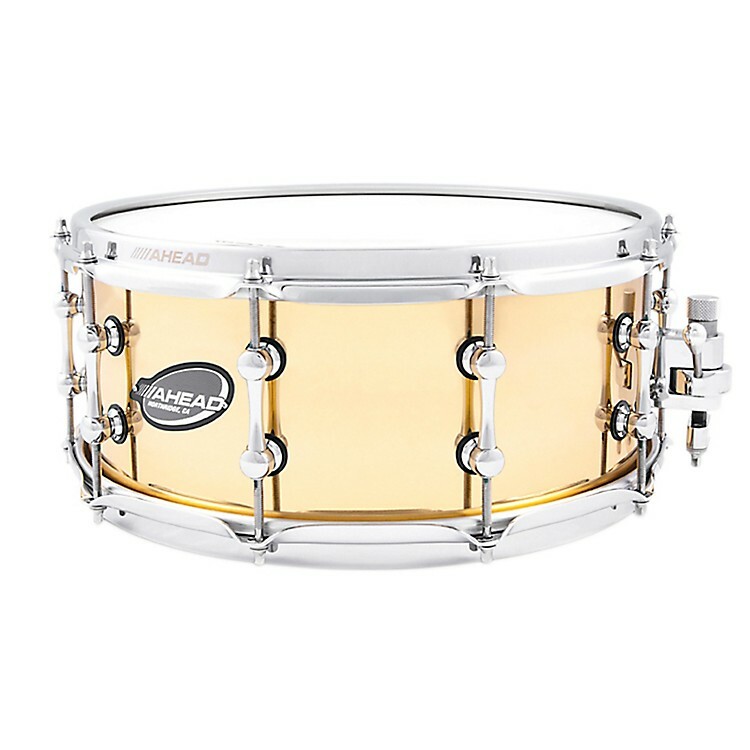 Ahead Polished Cast Bell Brass Snare Drum 14 x 6 in. A brawny, intimidating brass-shelled powerplant for your rock backbeat. This Ahead 1.5mm Bell Brass Snare Drum offers a dry, powerful sound and superior sensitivity. Snares made from Bell Brass shells have been coveted by live and studio drummers who play rock, R&B, Latin and many other styles of contemporary music. Ahead's bell brass snare drums are meticulously produced and "Fully Loaded" with upgraded, state-of-the-art components. This snare features S-Hoops, Tight Screw tension rods, a Trick throw-off, Fat Cat snare wires and Remo heads. Snare Size:	14" x 6"
Turn your backbeat over to the brass. Order today.